Whether you are new to fitness or have been working out and living a healthier lifestyle for a while, when it comes to cardio fitness and decision to buy fitness equipment, it’s hard to know which machines you will benefit from the most. Cardio exercise has great benefits on the body including improved heart health, faster metabolic rate, releases good hormones and can help you manage diabetes. While nearly every piece of equipment designed for cardio exercise will give you many benefits, there are a few differences between them. 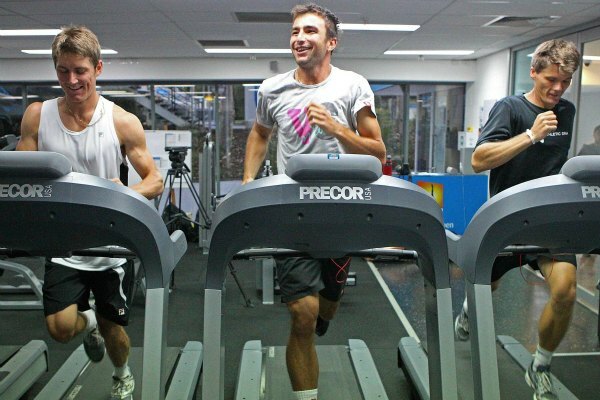 Choosing the right one for you will be easy after comparing the treadmill, bike, and elliptical and seeing what the benefits are of each and which machines are good for what people. The elliptical is a great choice for someone who has suffered any kind of injuries or has any kind of particular weakness in their ankles, hips, lower back and knees as the elliptical gives a cardio workout without any impact. There is no impact because the two pedals that you stand on move in a circular motion. There are also extended handles which you place your hands on giving you a full body workout, meaning anyone who is looking to burn more calories should choose this machine. The downfalls of an elliptical are that the stride length is built-in, sometimes this can be slightly adjustable but rarely, so testing one out before you purchase it is a must to make sure that it suits your height. If you aren’t very self-motivated, it can be tempting to go at whatever pace you want to instead of a regular pace. When choosing an elliptical to purchase, you shouldn’t rush your decision; buy the one that fits you perfectly. You want something durable that can support your weight and mimic your movements and posture. A treadmill is just as good for your health as an elliptical, but the motion of running or jogging feels much more natural than the long strides you would take with an elliptical. Sometimes running outside can be difficult if you live in a busy city or rain and bad weather could be a factor. Most treadmills can be easily stored inside your home. 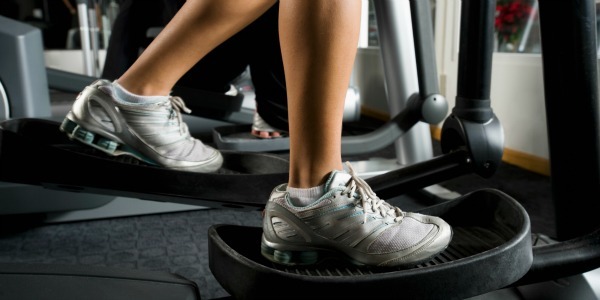 The automatic speed of a treadmill helps keep you focused and won’t let you slip and relax during a workout. The downfalls of the treadmill are that after a while it might get a bit repetitive making you feel like you don’t want to run. While the running surface of a treadmill is usually cushioned with something to make running more comfortable, most people who have a history with joint pains will most likely still have them on a treadmill. If you decide to purchase a treadmill, you should look for a durable, solid frame and a decent running belt. Although they might not be the most exciting workout, most newer treadmills have interesting new features like displays that let you keep track of your progress or media players so you can listen to music while you run without the fuss of headphones. 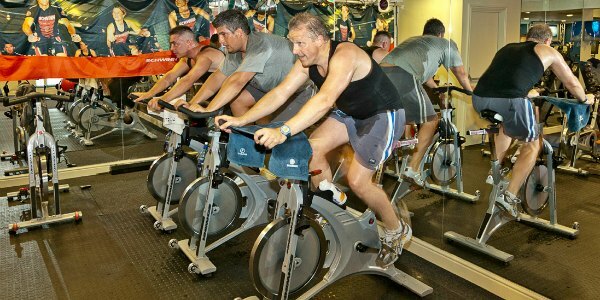 A bike is great for cardio but does not give you an all over body workout like an elliptical and a treadmill would. You should determine what your goals are before deciding whether a bike is for you. If you are training for a marathon then a bike is great, but if you are looking to lose weight then maybe a bike isn’t for you. There is no upper body workout so you burn fewer calories and you need to go for longer to reach the same goals. If you enjoy riding a bike however then this machine could be good for you. Many newer models have programs that can replicate different terrains and slopes to keep the workout interesting. If you are looking to purchase a bike, you should be someone who enjoys bike riding in the first place, or someone who is training although I would still recommend bike riding outdoors over bike riding inside. Choosing the right exercise equipment should be based on what you need out of a workout. Health problems, location, weather, and your fitness goals should all be taken into consideration when choosing the right one for you. Whichever machine you do eventually choose, make sure to invest in something that you know will last you a long time, and if you paid more for it, then you will probably want to get the most use out of it. You can probably buy fitness equipment locally in warehouses or if you are looking for something more specific, you can buy fitness equipment online, with so many online stores you are sure to find something to suit your individual needs.